With just a few days left of the summer holidays, I’m probably far too late to be of any use with this review – but hey, when has irrelevance ever stopped me writing a blog post? 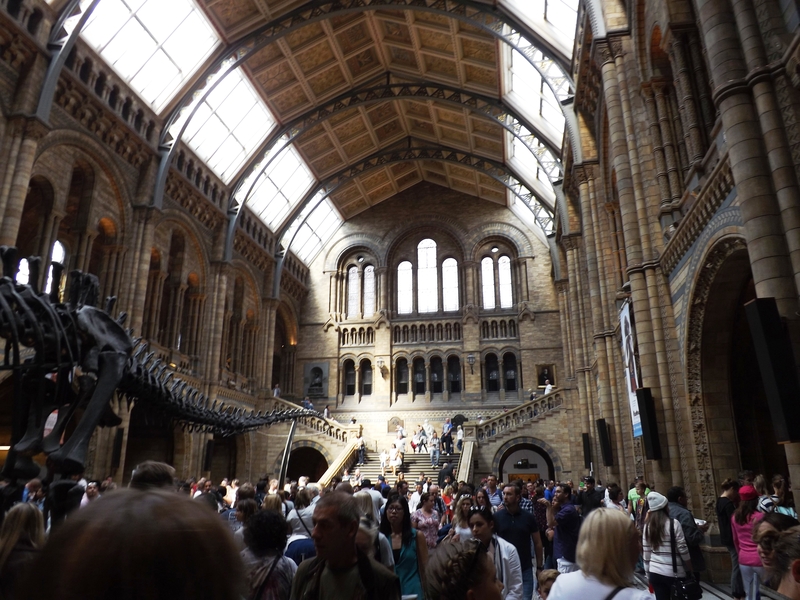 Last weekend (after our trip to the View from the Shard) we headed over to the Natural History Museum with the boys, with the general aim of “Let’s see the dinosaurs then see what else we can squeeze in before the kids get bored”. 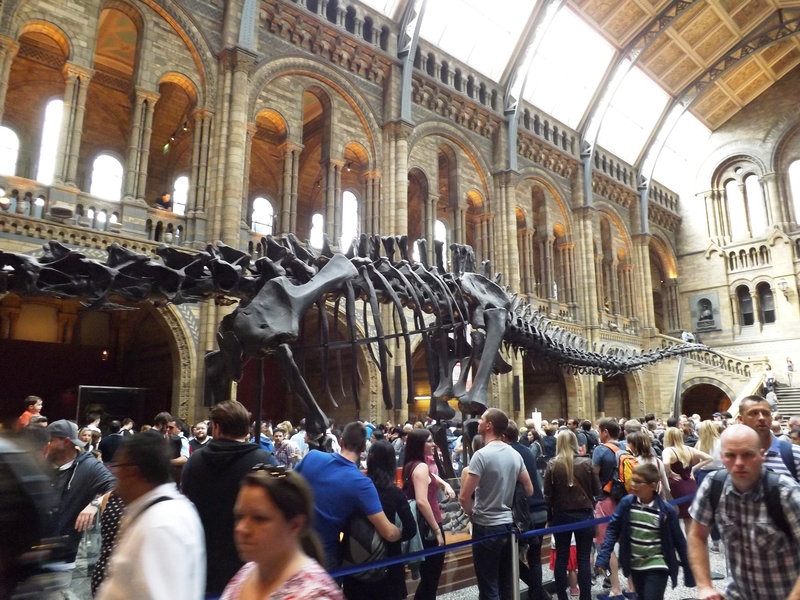 Being rather smart, we (well, Sara) made sure to book a slot in the Dinosaur exhibit in advance – which proved to be rather useful when we got there and found queues snaking out of the door. I should probably preface this by pointing out that we chose the August bank holiday to pay our visit, so we were already expecting big crowds. Couple that with the fact that the NHM is entirely free to visit and you won’t be surprised to hear we had to queue for 20+ minutes to even get in the building. 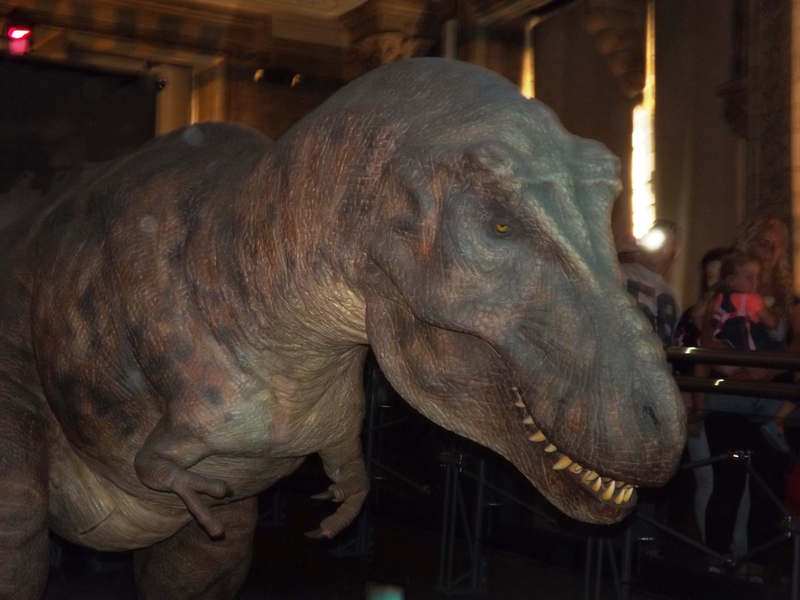 Once we were in, though, my wife’s ingenuity really came into play – the internal queue for the dinosaur exhibit was already over an hour long, but we managed to sweep to the front and were let in straight away – despite actually turning up 25 minutes before our slot. Sadly, the queues didn’t end there – the dinosaur exhibit itself is basically one long queue for half of the duration – over the course of half an hour we edged slowly along the over-hanging walkway towards the end of the room, looking (briefly – if you stop for long somebody overtakes you) at the exhibits suspended on either side of you. All the while you’re walking towards a hidden room at the end of the walkway… What could possibly be in there? 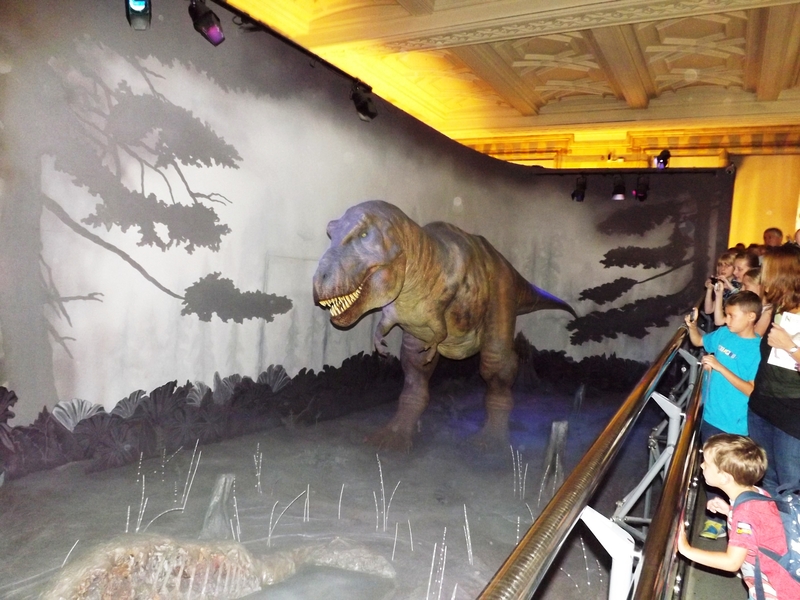 Well, I’ll tell you what it was – a large, animatronic T-Rex. It’s been there for years now – it was certainly there when I last visited 5+ years ago. And sadly, it’s not half as exciting as it once was. 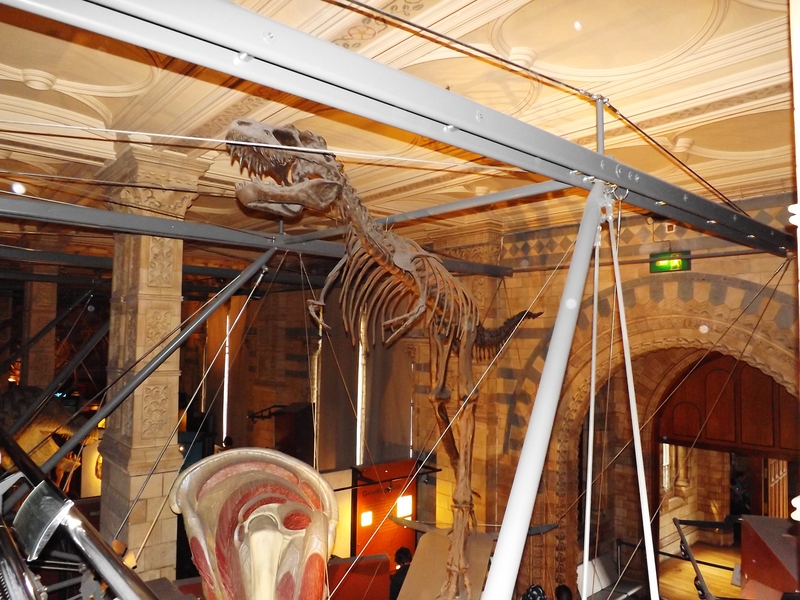 Don’t get me wrong, I don’t want to sound cynical – but you can find an animatronic dinosaur in virtually every museum or golf course around these days. 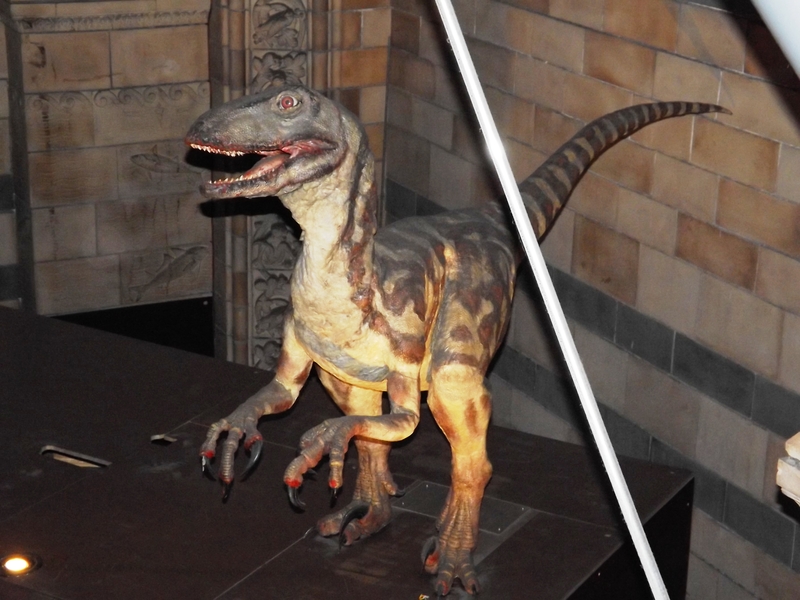 What was once almost certainly a wow-inducing end to the tour is now a rather sorry looking relic… or dinosaur even. It would be rather less noticeable if he was simply pugged-away at one end, but because of the structure of the room you’re forced to queue for a LONG time to see him – which makes him all the more disappointing as a result. I don’t know – perhaps I’m missing the magic here? 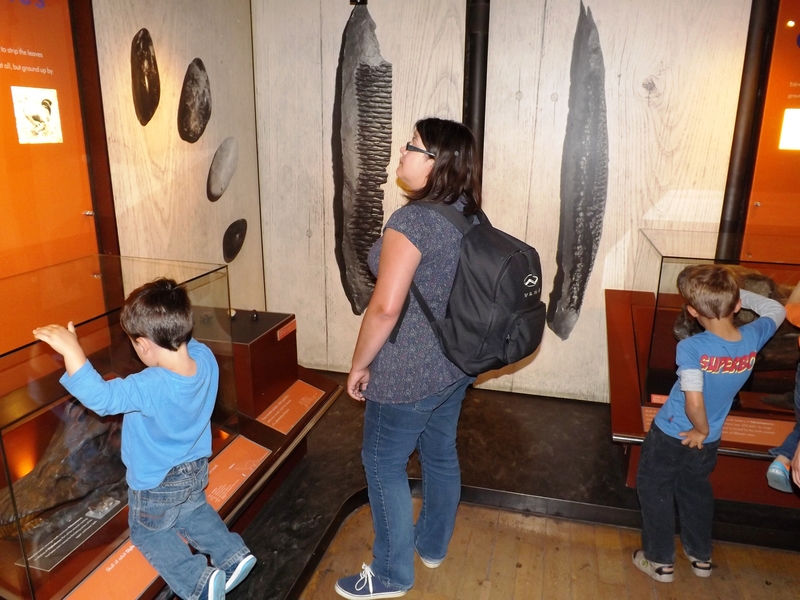 The rest of the exhibit, post-Rex, is rather good – a nice collection of fossils, plenty of information and lots for the kids to touch and experience. Once we were done with the dinosaurs, we headed to the other side of the building to check out the ‘Earth’ exhibit – mainly because we knew there was a nice earthquake simulator (dressed up as a Japanese shop – it’s a lot better than it sounds) and that the kids would like it. 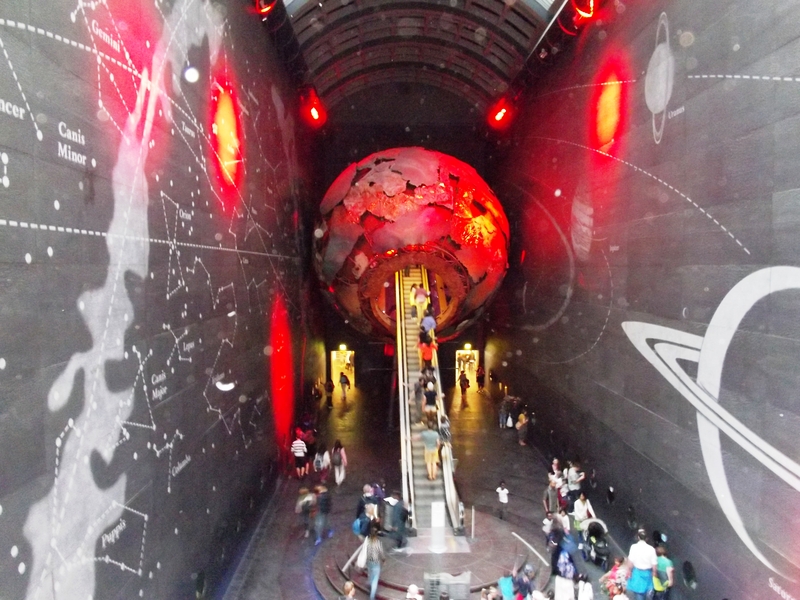 The most exciting part of the Earth section is the large escalator which takes you there – via the centre of the earth (See the photo to the left). I dare say this is a section we’ll visit again on a less busy day, as Robert (6) in particular found it all very fascinating. After that we decided the crowds were getting a little too much, so we headed to the shop (obviously!) and headed home. But it’s definitely a sight we’ll visit again when we get the chance – there’s enough to see there that you could wander around for days and still not see it all. We’ll definitely choose a slightly less busy day to visit next time, though!